It’s back to the Bay Area Equestrian Club’s Vet Summer Camp again this week. The third day of summer camp took campers to the Veterinary Medical Teaching Hospital at the University of California, Davis for a tour that included an introduction to the blood donor herd, an explanation of how blood is collected from horses, as well as viewing the surgery area and anesthetic equipment. Science Talk – anesthetic: comes from the word anesthesia, which means a temporary state of unconsciousness, loss of memory, lack of pain, and muscle relaxation. This technique is used during medical procedures. Along with meeting the horses in the blood donor herd, campers learned about blood volume, blood collection, different blood products, visited the Blood Bank and handled a unit of packed red blood cells. Different sized coke containers; the 2L size is the biggest one on the right! 1. What does the ‘L’ stand for? 2. What kind of measurement does this refer to? 3. How much more blood can a horse’s heart pump when running than when she’s at rest? To get a clearer picture of just how much 300L is, campers used 2L bottles, filling them with water until they had accumulated 300L of liquid. 4. How many 2L bottles would have to be filled to equal the amount in a 300L container? After lunch Dr. Laurie Bohanon, a past competitor and current veterinarian for the Tevis Cup endurance race, talked about and showed pictures from the event, including attributes of endurance horses, priorities for riders, and how vet checks work along the way. In endurance rides, horses are required to pass a vet check at numerous points in the race. During the vet check, they are checked for soundness and dehydration, and have their pulse and respiration rates taken. 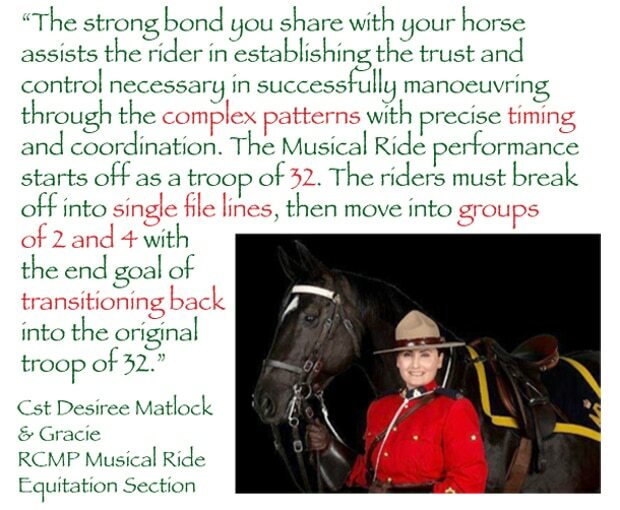 To continue the ride, the horse must pass the examination, including reducing its heart rate below that specified for the event. A heart rate of 68 bpm shortly after finishing the ride was the target rate in a recent Tevis Cup. 5. What does ‘bpm’ stand for? Horses are also required to pass a cardiac recovery index test, which involves taking the horse’s pulse and then having the rider trot the horse out 120 feet and back. 6. How many total yards is a horse trotted before the pulse is taken the second time? Exactly 60 seconds from the beginning of the trot out, the second reading will be taken. If the second reading is ≤ to the first reading, the horse can continue. 7. What does ‘≤’ mean? If the second pulse rate is 4 bpm ≥ the first reading, the horse is not fully recovered and must repeat the test after an additional 10 minutes of rest. 8. What does ‘≥’ mean? A horse that does not pass the CRI test within 30 minutes of rest should cease all exercise and be carefully monitored by a veterinarian. Answer: ‘L’ stands for litre. Answer: Litres are a measure of volume. Answer: 300 – 40 = 260. A horse’s heart can pump up to 260L more blood when running than when at rest. Answer: 300 ÷ 2 = 150. It would take 150, 2L bottles! Step 1: 120 ft × 2 = 240 ft. Step 2: 240 ft ÷ 3 (number of feet in a yard) = 80 yds. The horse is trotted 80 yards before the pulse is taken for the second time.